Did you know the following interesting details about human brain? It weighs 1400 grams (3 pounds). The weight is not very important. Einstein’s brain was lower than the average. It was only 1230 grams (2.71 pounds). 75% of it is made up of water. There are 100 billion neurons in our brains. (15 times bigger than total population on earth now -2014). The neurons establish 1000 trillion connections (synapses). In our brains there are 100 billion glial cells which protect neurons covering them. The glial cells are also inter-connected. A neuron can send 200 electrical signals (impulses) in a second. Neural impulses have a velocity of 200 kilometers per second (125 Miles per second). The total length of neurons is about 780 thousand kilometers ( 485 miles). Our brain uses 15% of blood in our body. 25% of oxygen taken is consumed by the brain. 20% of the total energy created in our body is consumed by our brain. Diameters of neurons are 4 to 100 microns. Some neurons are longer than 2 meters. 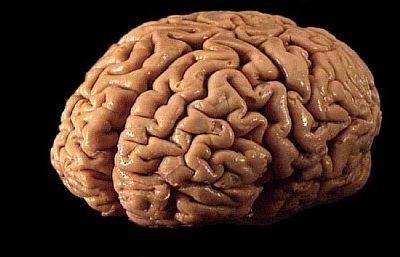 The total length of the blood vessels in our brains is approximately 96 thousand kilometers (60 thousand miles). It is a false urban legend that human could use only the 10 percent of their brain capacities. Nevertheless in our brains every cell is active, because unused cells can not live long in our brains.